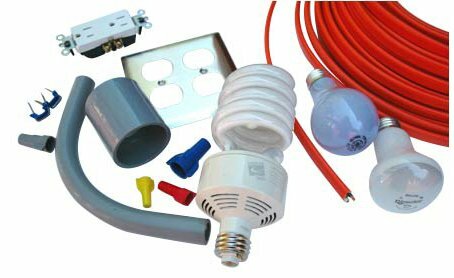 From batteries to extension cords, light bulbs to generators, the Electrical department of Clarke’s Hardware has what you need to install, maintain, or even modify the power of your home. Our well-stocked shelves ensure quality and convenience at competitive prices, so come visit Clarke’s Hardware and let us light your way! Our extensive array of electrical products—from batteries to light bulbs to generators—reflects your needs; our well-stocked shelves ensure quality and convenience at competitive prices. Take our Energy Star “Change a Light” Pledge: By changing from incandescent bulbs to compact fluorescent lamps (CFLs), you can make a difference to the environment. These innovative light bulbs use 75% less energy to provide the same amount of light and they last years longer.